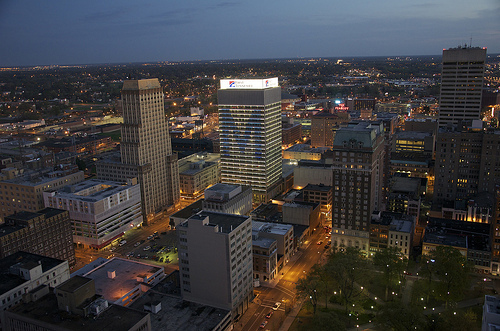 Capitol of the “Mid-South,” Memphis had over 652,000 residents in 2011, almost half of the region’s population. The Mid-South is the metropolitan hub of a five-state area which includes Tennessee, Kentucky, Alabama, Mississippi and Louisiana. 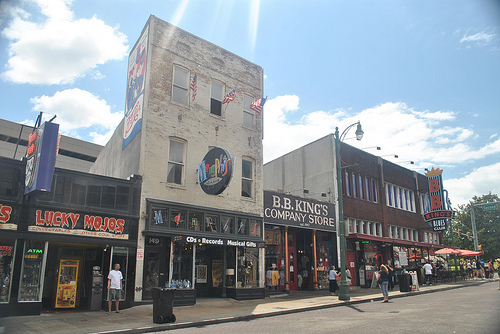 With a worldwide reputation for culture and art (especially the blues), Memphis was also an important city during the Civil Rights movement, and the place where Martin Luther King, Jr. was assassinated. Beale Street was the center of a large African American population immediately following the Civil War and at the turn of the century it became known as the “Main Street of Black America.” Beale Street became a musical incubator for the blues and influenced many important recording artists. Memphis’ STAX Records was also a major influence in creating Memphis soul music and boasted recording artists from Otis Redding to the Staples Singers. The site of the old STAX recording studio is now home to Soulsville and the STAX Academy. Demographically, Memphis is 62 percent, African American, 31 percent White, five percent Latino, and 1.7 percent Asian. Population loss in Memphis is concentrated in small groups of dispersed pockets and not in massive continuous areas like most large metro areas. With the deterioration of inner-city public schools and the increase of crime, many community development corporations were formed in Memphis to combat blight. In 2002 HUD designated 48 census tracts as Renewal Communities and in 2005 they added 20 more tracts to the designated area, making it one of the largest renewal communities in the country. Today, Memphis is home to a range of community wealth building institutions and initiatives. They participate in the Payment in Lieu of Tax (PILOT) program, which allows non-profits and businesses to qualify for a property tax freeze. Through the Memphis Community Development Partnership and the University of Memphis’ Center for Community Building and Neighborhood Action, the city is also part of the National Vacant Properties Campaign. The campaign establishes land bank authorities and organizes forums locally and statewide for constituents interested in vacant property reclamation.